This post is part of our Flashback Friday blog posts for the summer months! Every Friday we will re-share a post previously shared on GirlGuidesCANblog, that relates to the summer months (camping, outdoor fun, family time). Enjoy! Going away to camp are some of my best memories. I went every summer! 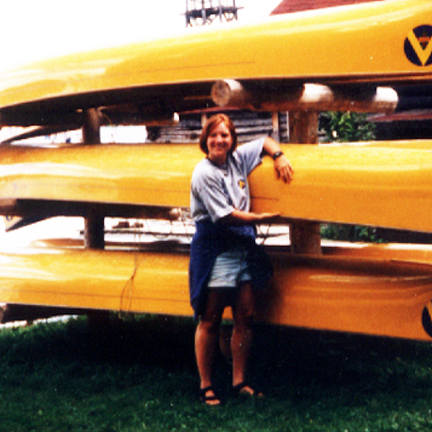 When I was 12 I went to Doe Lake Girl Guide camp for their canoe and sail camp for two weeks. We got to go on a four-day canoe trip. I was hooked!! The next summer was a seven-day trip and the following year a 10-day canoe trip. I loved those summers! I made so many friends and memories. Carrying a canoe on my head and portaging for 2.1 kms at the age of 15 is something I’ll never forget! 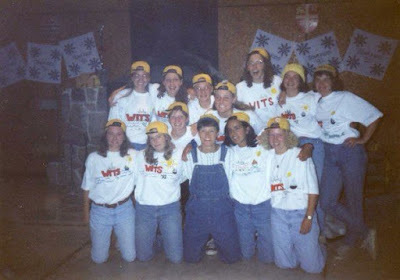 When I was 16, I spent a whole month at camp for the WIT (Waterfront in Training) program. I was training to be a lifeguard and swimming instructor and to be able to do that at summer camp was a dream come true! Even though I was a camper at several camps and then later a camp councilor at several camps, there is a common bond between all of the camps — the amazing experience that a child takes away with them. You get to do so many amazing activities that you might not get at home. You make new friends from all over the region, province or even the world! By guest blogger Wendy. To read more by Wendy visit her funny things are everywhere blog. This entry was posted in Girls' Guides and tagged camp. Bookmark the permalink.